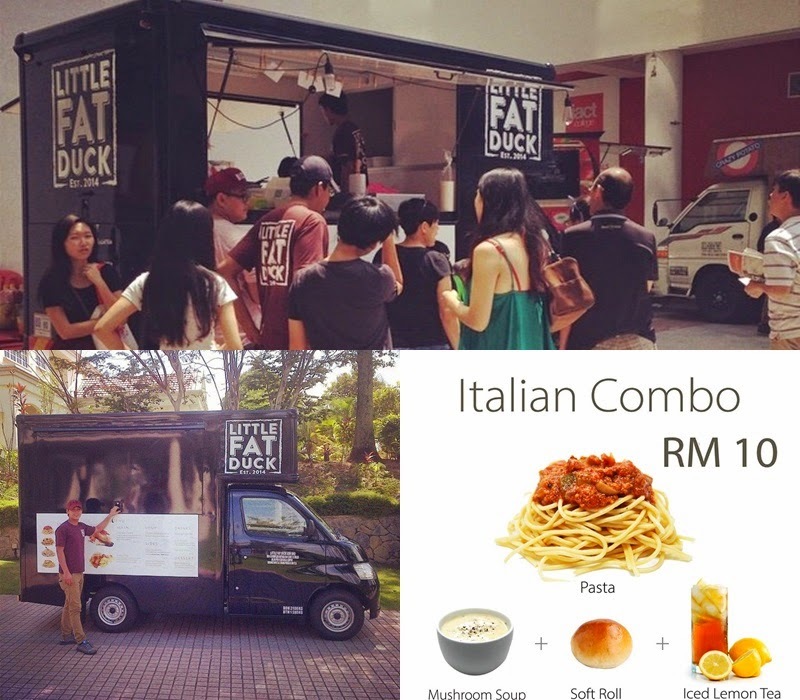 When we think of food trucks, we often associate them with ice-cream, cendol, tau fu fah, rojak or even bubble tea. 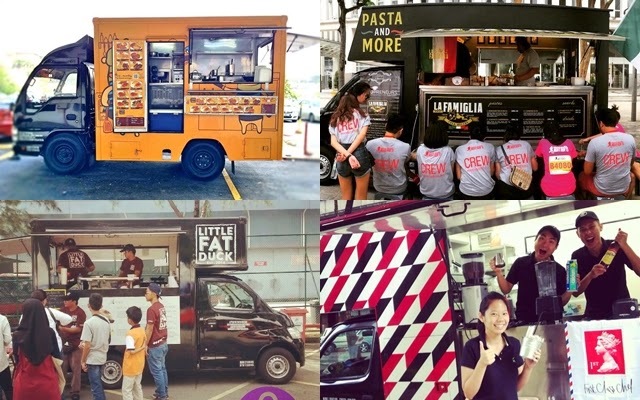 But now there are more and more food trucks in the area which actually cook and serve fresh and hot food items such as burgers, sandwiches, spaghetti, tacos, rice and a whole lot more at decent prices, which brings the street food industry to a whole new level! What’s awesome is that most of these food trucks even have their own Facebook page so that they may inform and update customers of their locations. Sounds just like that movie “Chef” starring Jon Favreau, doesn’t it? 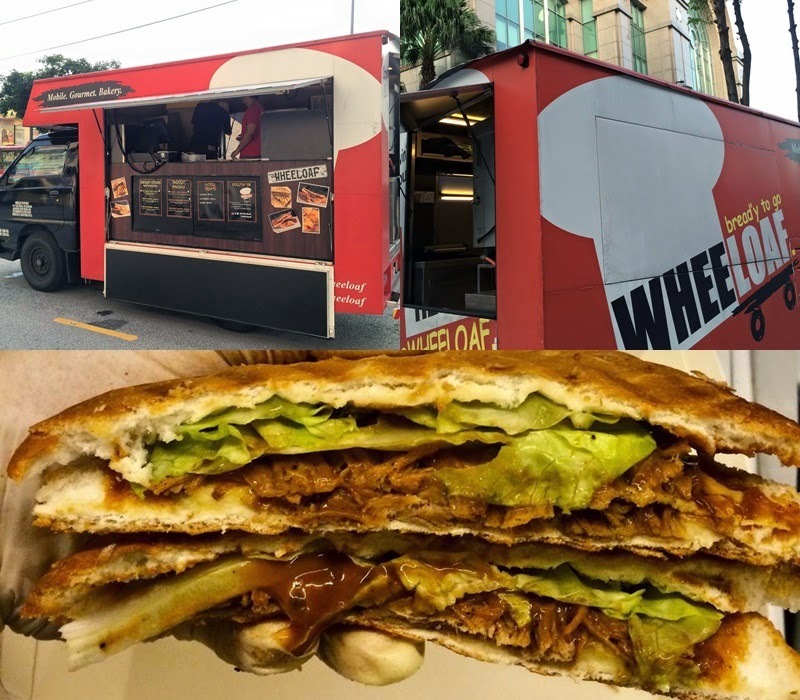 So let’s have a look at these yummy ‘meals-on-wheels’ that you can find in the Klang Valley area! Psst, if we have missed out on any other food trucks, do let us know below! Specialising in French and Italian cuisine, Little Fat Duck serves delicious and affordable meals made from fresh ingredients. The have quite the selection of pasta’s available like; Creamy Fish Pesto and Chicken Mushroom Mornay. Despite its name, this food truck does not serve any duck meat. There is also a cafe branch of Little Fat Duck at 1 Utama Shopping Mall. Babarittos Delight offers healthy quality meals by creating a healthy yet simple version of various western dishes such as burritos, nachos, burgers, and more. One of their specialities are the Bountiful Buttermilk Burritos. 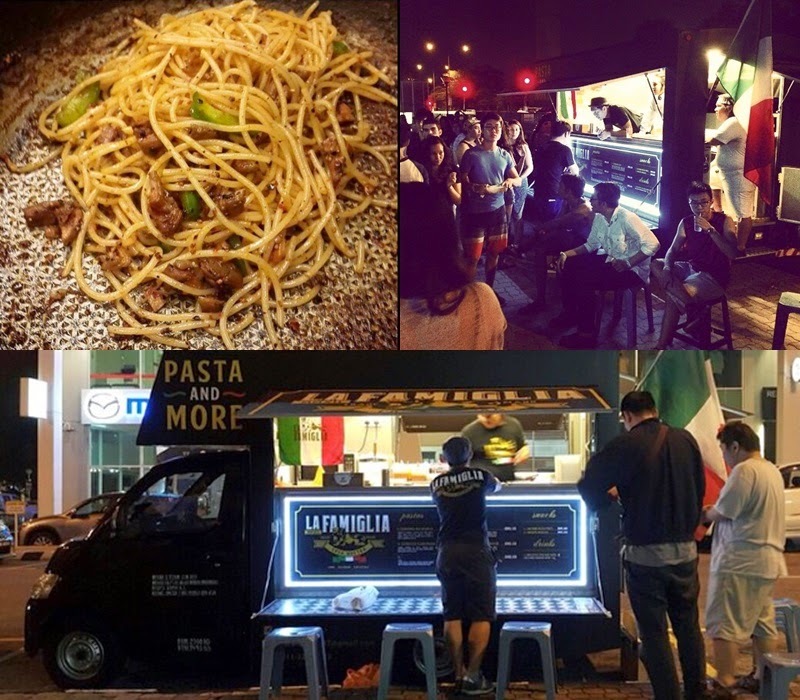 As its name implies, this food truck mainly serves spaghetti along with some other western meals like chicken chop, fish & chips and burgers. However, they only operate for breakfast and lunch. Get your hands on their spagilicious Fried Spaghetti with Chicken Chop. Location: Pusat bandar Damansara, Jalan Dungun, Jaya One and other areas in the Klang Valley. 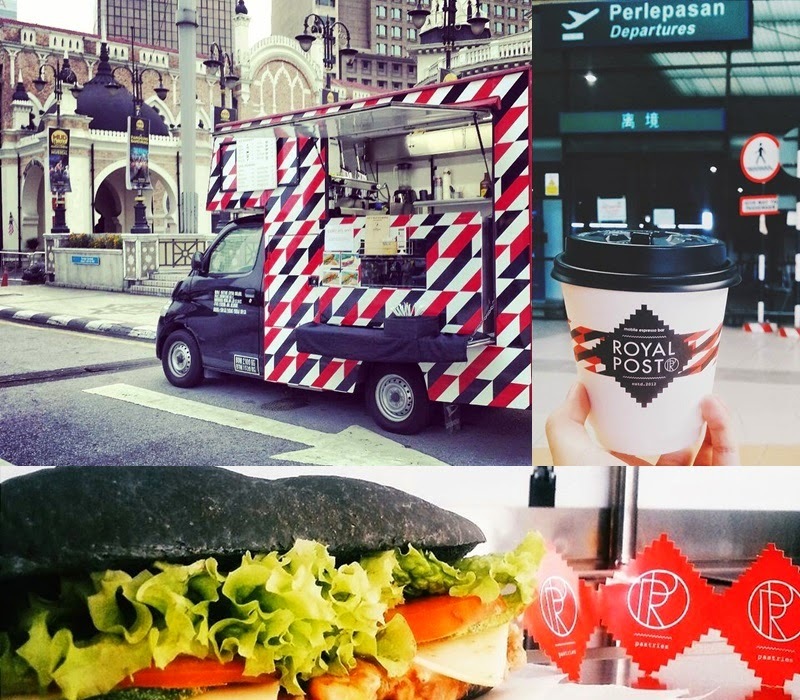 An elegant food truck that serves breakfast, lunch, coffee and dessert, Royal Post serves a small selection of sandwiches which goes well with their hot coffee choices. One of their latest additions of food is the Hawaiian Curry Pulled Chicken. The food truck also does take-out, reservation, delivery and catering. This is an Italian-meal-serving food truck owned by a group of passionate friends. Their signature pasta combines creamy carbonara and bolognaise sauce with chicken slices which they call, The Boss Pasta. 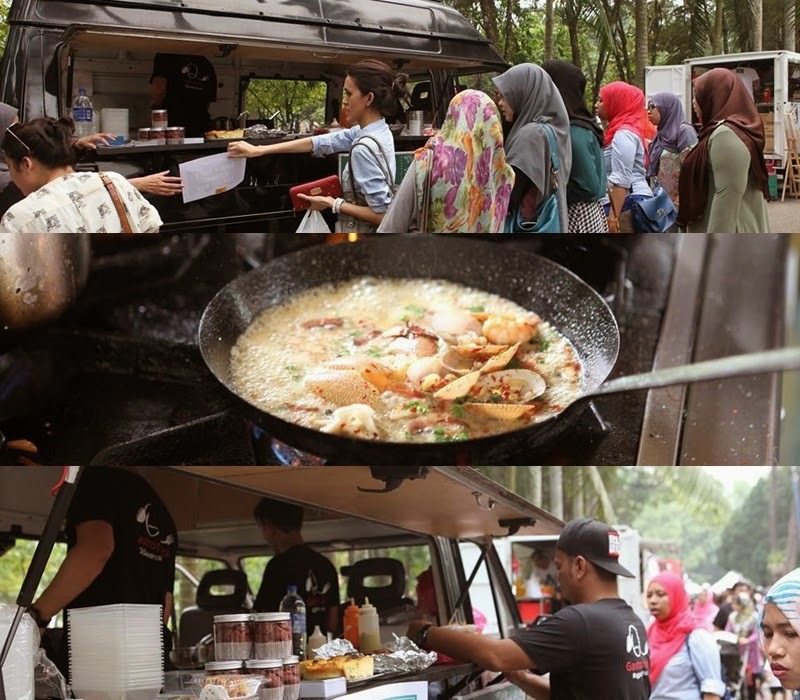 Offering a healthy yet bistro-like version of various local and international cuisines at affordable prices, Flaming Wheels is one of the trendiest food trucks in the Klang Valley. 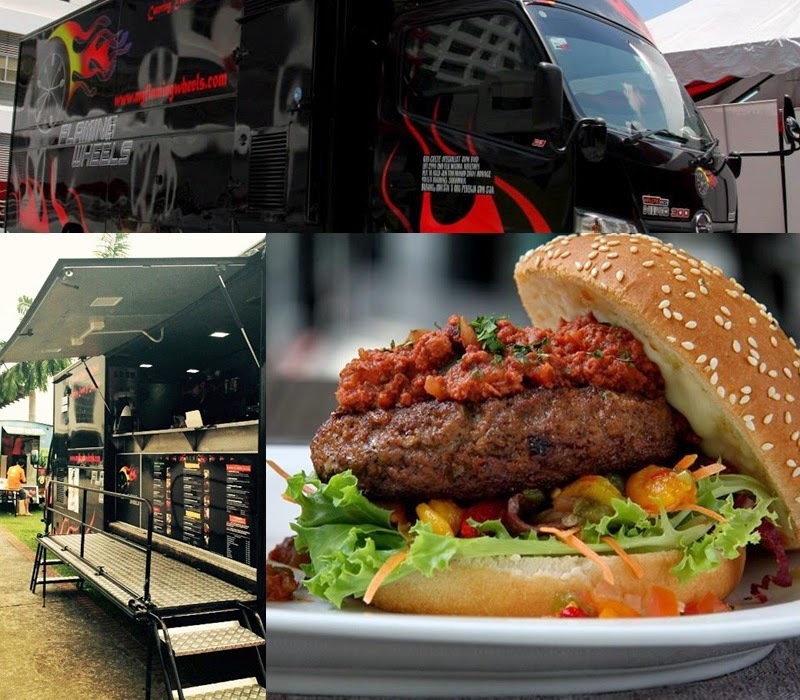 With an app of its own along with various contests and events, it is no doubt that Flaming Wheels is the most highly sought after food truck in the area. Their Chilli Beef Nachos and Slimy Cheezy Wedges should not be missed! Location: Lincoln University, Inti Nilai, UITM Shah Alam, LCCT, Ara Damansara, MMU Nusajaya and Bangsar and other areas in Klang Valley. Like its name says, this food truck serves everything bread-related, from sandwiches, to burgers, to Paninis. Customers should definitely check out their Panini Gargasm Chicken. 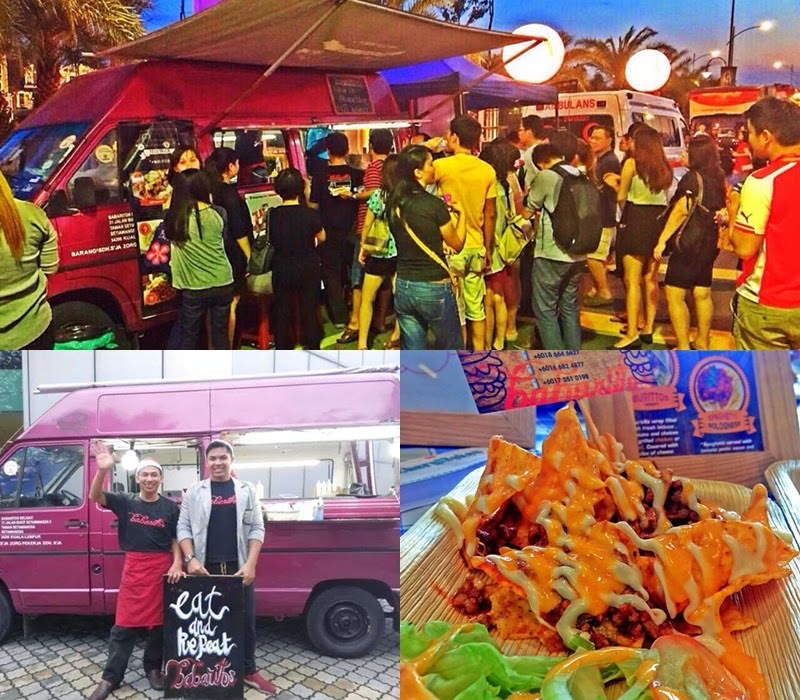 This food truck also covers events, catering, parties and other type of functions if you book them in advance. Price Range: RM3 and above. 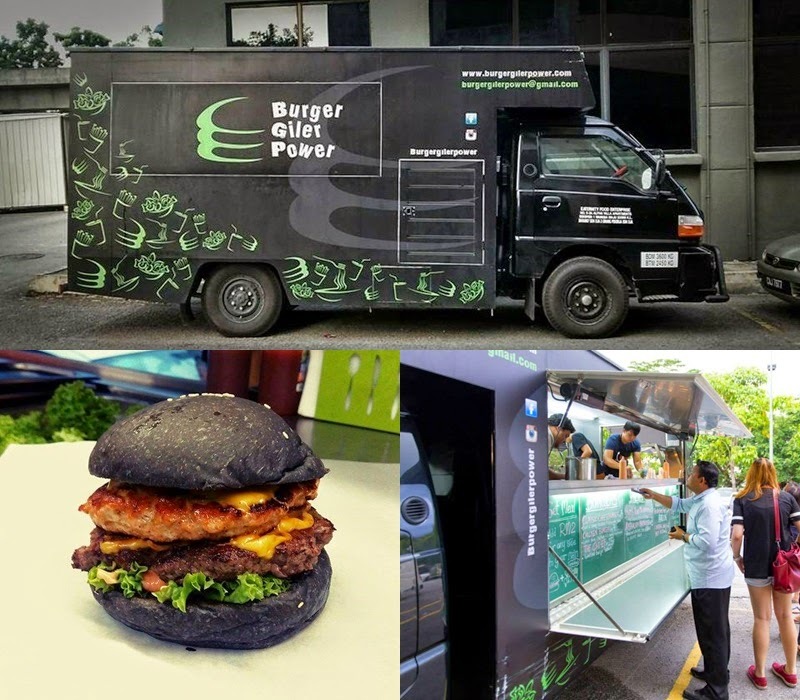 This food truck serves burgers. It is a small-scale home-based F&B delivery service run by two brothers with the support of a couple of partners and crew members. Plus, this truck also does home delivery service. Their Chi-ef Burger is absolutely awesome ‘giler’! Location: TAR College Setapak, TAR College Hostel, UTAR Setapak, TBR, Genting Klang, Danau Kota, Sri Rampai, Wangsa Maju, Taman Melawati, Wangsa Melawati, Taman Melati and Taman Permata. Price Range: RM4 and above. The Laughing Monkey Café is an espresso truck which provides customers affordable, rich, freshly brewed coffees and delicious sandwiches. 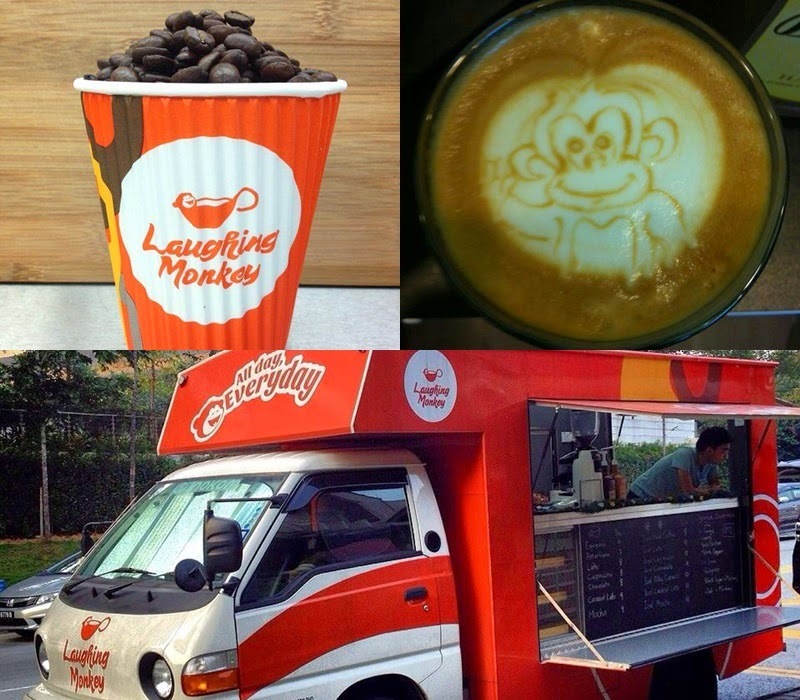 Run by two good friends, the Laughing Monkey will make you go bananas over their coffee, especially their Espresso. Price Range: RM7 and above. 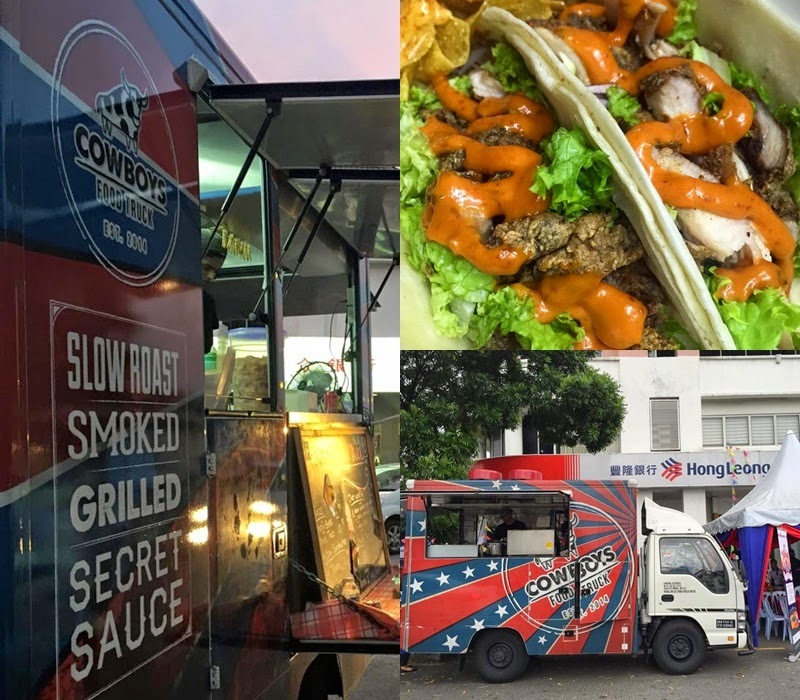 Cowboys Food Truck serves American-styled barbecue food with homemade sauces. Among the truck’s best sellers are their Smoked Beef Brisket and Signature Chicken Wings. Location: SS15 Subang Jaya, Jaya One and other areas in Klang Valley. 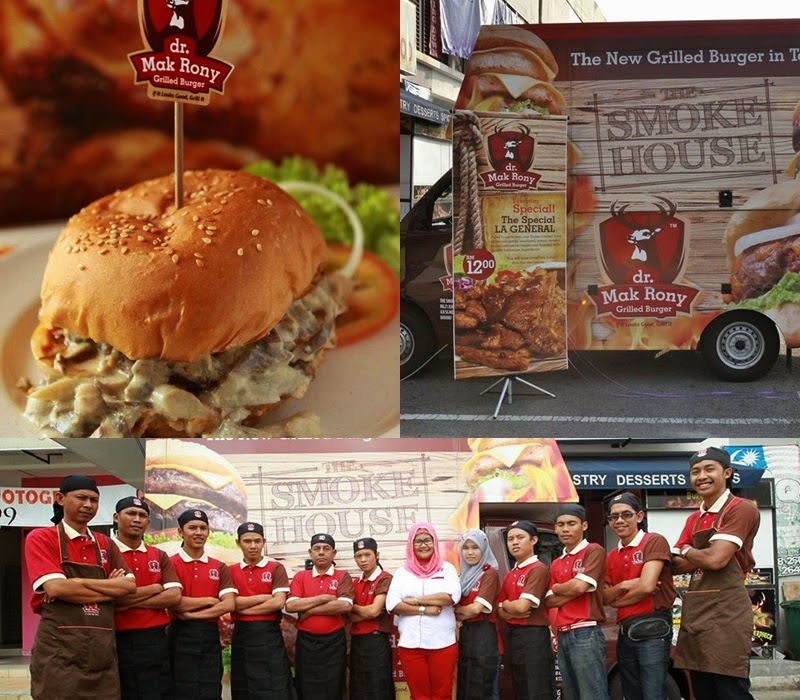 Founded by Rony Hassan and her son, this truck is a family business which specialises in grilled burgers. The food truck has a reputation of serving the best grilled burgers in town. One of their must-try burgers are the Beef Berger with Mushroom Fricasse. Location: Jaya One, Jalan Dungun, Bangi and other areas in Klang Valley. 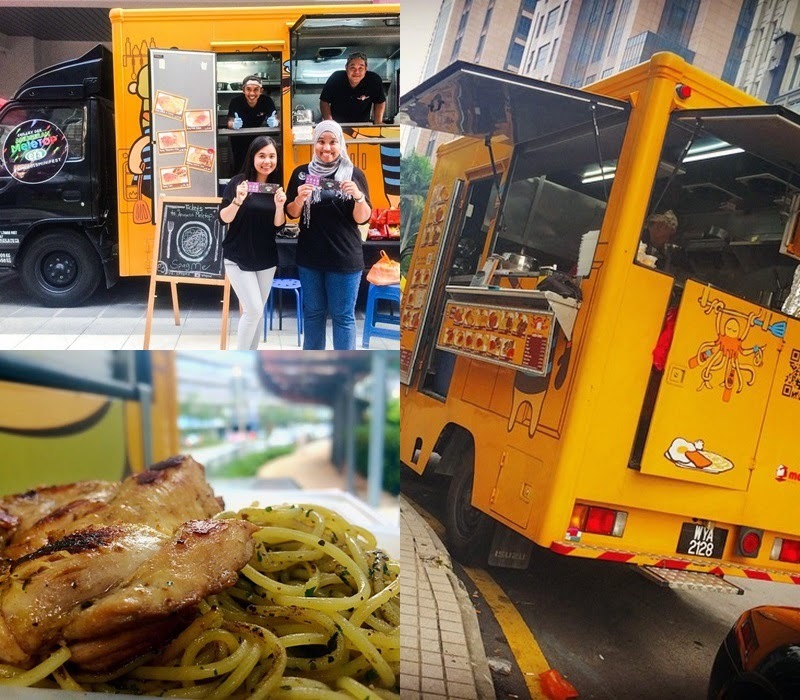 Known for their pastas and tortilla wraps, Q Gastrotruck serves a fusion of east meets west meals such as Sambal Prawn Pasta and Aglio Olio Cili Padi. 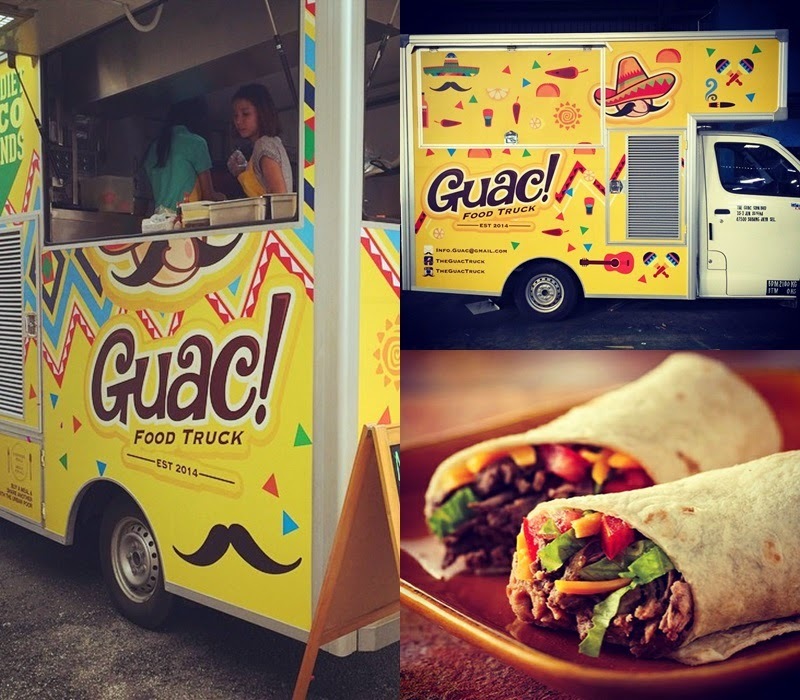 Guac is a Mexican-themed food truck which mainly serves nachos, tacos and burritos. Their homemade jalapeno and habanero sauce are sure to satisfy those with Mexican cravings. Location: Stadium Putra Bukit Jalil, TTDI, Damansara Uptown, Marina Putrajaya and other areas in Klang Valley.